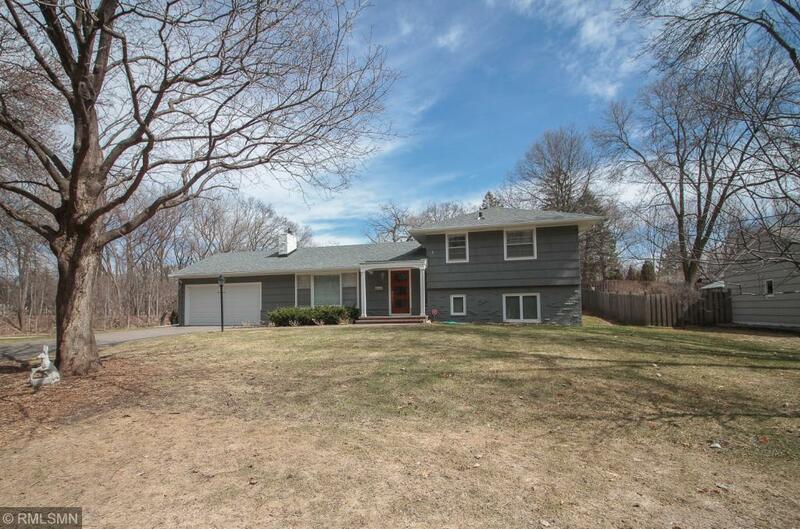 Gorgeous 4 bedroom split level for rent in Edina!! Beautifully renovated with refinished wood floors, updated kitchen with granite and stainless, and updated baths. Additional features include 2 fireplaces, mud room, and a work shop with built in tool bench. Attached 2 car garage. Located within sight of the Blake School campus and a few blocks to Cargill, Supervalu, and Interlachen Country Club! Convenient access to highways, shopping, trails, and a short drive to Downtown Minneapolis!